Hunter Chalets and Apartments specialise in providing luxury catered and self catering ski chalets holidays in the Alpine village of Morzine, France. Our service is bespoke to each booking and we offer fully catered ski chalets to rent in Morzine as well as partially catered and self catering options to suit your needs. Outstanding accommodation coupled with 24hr resort driver service and on call concierge means that you will have a carefree and enjoyable holiday from beginning to end. Morzine is perfectly suited to families, friends and corporate groups alike. Take a look at our properties to see which one will make your holiday perfect. Our range of luxury properties offer the perfect place to call home during your stay. Chalet 46˚ and Lodge Des Nants offer the ultimate catered experience with all drinks, meals, chalet staff and driver service included. Chalet Aubois, Four Twenty L’Élé, Chalet Bobb, Chalet Lorne, Apartment Deux Chevaux and Apartment 6˚ are available as self-catered or catered and can include our 24hr resort driver service. 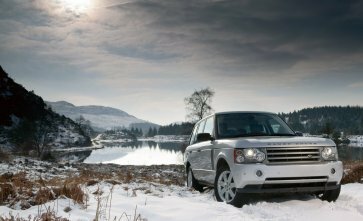 Book a 1 week stay with us in January in one of our self catered properties to receive complimentary driver service. Located in the heart of the Portes du Soleil, Morzine offers unrivalled access to over 650km of ski area in the winter and 850km of hiking paths in the summer making it one of the most popular year round Alpine resorts. Morzine is a working town that retains its authentic French mountain roots and ambience whilst proving to be a progressive leader in Alpine tourism, offering everything you could need for the perfect winter or summer holiday. Our concierge service is available to all of our guests throughout the stay. We are on hand at all times to attend to your every need, make reservations for you and organise all your activities. Excellent food, an extensive bar and uncompromised service are key to Hunter Chalets holidays. Our chefs create beautifully prepared meals using fresh, local ingredients and will create bespoke menus according to your preferences. Our 24hr resort drivers are on call ready to take you anywhere in resort. Safe, experienced and attentive; they will make sure you get to your destination swiftly and in comfort so you can make the most of your holiday.